Did you watch any part of the annual 24-hour cycle of the movie “A Christmas Story”? In this classic tale set in the 1940’s, 9-year old Ralphie Parker’s Christmas dinner turkey gets eaten by the neighbor’s dogs. Their original meal was ruined, but they end up having a great time at the Bo’ Ling Chop Suey Palace, a former bowling alley (hence the name of the restaurant “Bowling” with the “w” burnt out) turned Chinese restaurant. 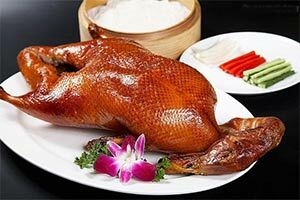 The family orders “Chinese turkey,” which really was Peking Duck. Although a bit culturally insensitive by today’s standards, this movie clip is really just a family having a good time with a new experience when they are surprised that their “Chinese turkey” is really a full duck with its head intact. If Chinese menus had pictures back in the 1940’s like today, the Parkers wouldn’t have been surprised by the duck head. Today, we often have menus with pictures so when the dish arrives we don’t get the same shock they did! In 1995, Ngan & Sons created and copyrighted a graphic design work entitled “Chinese dishes photo menu,” which consisted of photographs of common Chinese food dishes, arranged on a white background with various patterns like full circles, semi-circles, ovals, zigzags, parallel rows, and geometric artwork, like floating hearts, stars, or diamonds. Ngan & Sons licensed “Chinese dishes photo menu” Design to Oriental Art, a printing company specialized in printing Chinese restaurant menus, showing sweet and sour chicken; General Tso’s chicken; roast pork egg foo young; Singapore mei fun; seafood delight; barbeque spare ribs combo; pepper steak with onion; pu pu platter; and bean curd home style. In 2000, Ngan & Sons and Oriental Art filed suit alleging Gold Star Printing Company and others (collectively “Gold Star”) infringed on their copyrights in the Design by printing and selling menus containing reproductions of the Design, including a menu for a New Jersey restaurant called “No 1. Chinese Kitchen.” They claimed Gold Star copied their design and photographs, as in No. 1 Chinese Kitchen’s prior menu produced by Oriental Art. 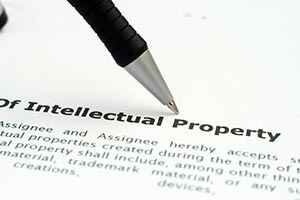 They also asserted claims for trademark infringement and unfair competition. Gold Star moved to dismiss the case, because the photographs were not copyrightable. Musical works, including accompanying words. Dramatic works, including accompanying music. Motion pictures and other audiovisual works. 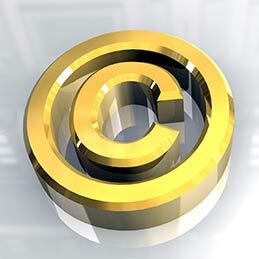 Copyright protects original expression of ideas in various forms and media, but not the ideas themselves. The purpose of copyright laws is to serve the public interest of having wide access to works of creative expression by encouraging persons to produce original works by rewarding them with certain exclusive rights to profit from their efforts subject to certain exceptions. If a particular work is copyrighted, it does not mean that every element of it is copyrightable; copyright protection extends only to components of the work that are original. A work is original if it was independently created by the author and possesses at least some minimal degree of creativity. Elements of originality in a photograph may include posing the subjects, lighting, angle, and evoking certain desired expression, as well as other variants. The Court found this was the rare case where the photos were not original enough to be subject to copyright protection. The menus and photographs depicted food on “extremely common traditional Chinese cloisonné porcelain.” Even the President of both Ngan & Sons and Oriental Art, Chi Lung Ngan, conceded the photos depicted the “most common Chinese dishes used in take-out menu [sic].” Each photograph was a rather obscure, black-and-white, depiction of a particular Chinese dish with no artistic lighting or angles. They served a purely utilitarian purpose: to identify dishes so customers could understand its contents. That meant Gold Star and others could use the photos without violating copyright laws! The Court also found, while the photographs are not original, the overall design in which the photos were contained was original to render it a copyrightable work. Ngan & Sons didn’t copyright the photographs, but registered a copyright for the “graphic design” for menus in which the photos appeared, which contained arrangements of dishes and associated artwork. The burden was then on Gold Star to rebut the presumption of a valid copyright. Gold Star’s only arguments to the Court were based on the photographs and not the menu design so the case was not dismissed in its entirety as Gold Star had requested. In my humble opinion, both parties were not fully ready for the Court to consider their case. As a result, both parties won and lost arguments. If one side had been completely prepared, we might have had a different result (a complete win or a complete loss). How about you? Were you completely prepared for the holidays? Were your plans thwarted like Ralphie’s family? Did you already make–and break–your New Year Resolutions? Give yourself a second chance by reaffirming your New Year’s Resolutions on Chinese New Year! Just click here to send us your name and mailing address by January 23, 2014 and we’ll send you an authentic Chinese Lucky Red Envelope to wish you true prosperity.